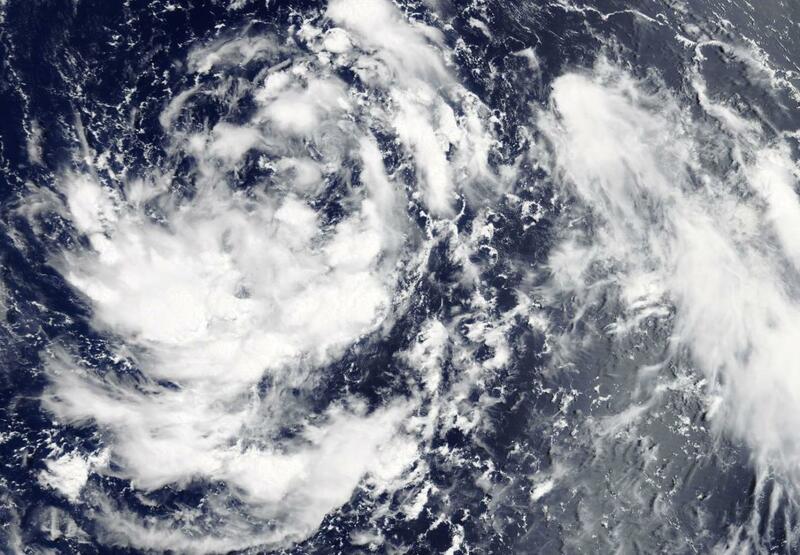 NASA's Aqua satellite passed over the Northwestern Pacific Ocean early on June 28 and caught an image of newly formed Tropical Depression 09W. On June 28, the Moderate Resolution Imaging Spectroradiometer or MODIS instrument that flies aboard NASA's Aqua satellite captured a visible image of Tropical Depression 09W. The image showed deep and persistent convection, mostly south of the low level circulation center with limited convection north of the center. At 11 a.m. EST (1500 UTC) on June 28, Tropical Depression 09W's maximum sustained winds were near 25 knots (28.7 mph/46.3 kph). The center of the storm was located near 20.6 degrees north latitude and 131.2 east longitude. That's about 419 nautical miles south-southeast of Kadena Air Base, Okinawa, Japan. 09W has tracked westward at 8 mph (7 knots/13 kph). The Joint Typhoon Warning Center forecast calls for 09W to move on a northwestern track and is then expected to turn to the north. Tropical Depression 09W is expected to become a tropical storm on June 29.